If you’ve ever felt a bit nervous thinking about what it would be like to work contract jobs only, you’re not alone. Many people feel that contract work brings with it too many unknowns, too many what-ifs. The other side of the coin is that the need for finance and accounting contractors is increasing and there are some real benefits that you should consider. Organizations are choosing to apply specialized skills against project needs as they realize the value of the expert in solving a complex or time dependent problem. Working with the right recruiter to find contract gigs can actually offer some surprising benefits for those who are interested in doing something different. It can also be an opportunity to build an even more successful career for yourself in the finance and accounting industry. Contract consulting work allows you an opportunity to stand out as you successfully complete engagements across multiple industries and organizations. In many ways, this will diversify your resume through exciting and challenging contract opportunities with a variety of employers. The range of experiences these contract opportunities provide can be a great way to differentiate yourself from other finance and accounting specialists as someone who is adaptable and can add value in different companies. Contract work broadens OR specializes your profile depending on what kinds of contracts you accept, while making you an agile employee, and teaches you to think on your feet. All of these skills are very relevant to the rapidly changing technology driven economy. Read: “How to Identify a Good Finance or Accounting Contract” to learn how to land the best contract jobs for you. Networking is another great benefit of contract work. Temporary assignments with various companies can introduce you to new people on a regular basis, rather than only working with the same people all of the time. The more people you get to know in various companies, the more connections you have that could lead to other employment opportunities in the future. Because of the nature of contract work, you might also end up meeting with or working alongside more senior-level people in the company that you possibly would never have had the opportunity to connect with otherwise. This can also open doors for you in the future. Read: “Getting the Most Out of Networking Events” to learn how to increase your success with networking. The reality of contract work is that you might find yourself having to learn new processes, systems, software, and other things on a regular basis, and quickly. This helps develop a broader range of skills, giving you a leg up on those who might have more narrow training. Working with many different people who are in a variety of roles also provides you with a chance to experience different perspectives or knowledge bases, which can further expand your own knowledge and understanding of the various areas of an industry. Another way that contract work keeps you learning is by teaching you about yourself. Performing in a variety of roles and working with many types of people can lead you to a better understanding of your own work habits and preferences. Read: “Why It's Good to Be a Contract Employee” to read about the experiences of some long-term contract employees. Being a contract worker gives you the chance to prove yourself to a company, which may decide to offer you permanent full-time work if they are impressed by your performance. These opportunities might only be available via a contract role, giving you rare access to hiring decision-makers in the company whom you might otherwise never meet. On the flip side of that is contract gigs also provide opportunities for testing out the waters with various companies. Working a contract position means that you can see how you feel about a company before committing to anything long-term. This is a unique experience that can help you feel out what being an employee at a particular company would actually be like. 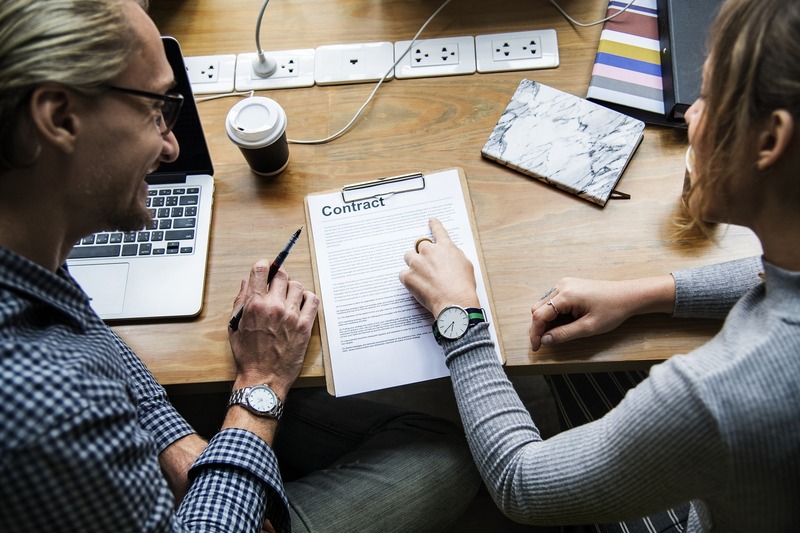 Read: “The Pro’s and Con’s of Contract Employment” for insight into more of the benefits (and some of the drawbacks) of contract employment. Although contract workers don’t have the regular benefits often provided to full-time employees (like sick days, health benefits, and vacation time), they normally receive a higher hourly rate that can more than make up for it. Contract workers are also paid for ALL of the time they work, meaning there’s no unpaid overtime or other extra hours that might be required of a full-time employee. Consider that your resume is your "currency" in the hiring market. Consulting is the fastest way to increase that value, as it allows you to work in different companies, with different challenges, and this creates a diverse background of capabilities that you can charge a premium for in the market. Read: “How to Become an Accounting Consultant” for tips on how to decide if contract consulting work is right for you. Contract work is becoming more common in the job market. Contract work can make your resume stand out. Contract work can bring you valuable connections. Contract work lets you continuously learn new things and you get paid for it. Contract work exposes you to a variety of perspectives and strategies. Contract work can give you a trial run with a company. Contract work often pays well and doesn’t require any extra unpaid time. Contract work provides experience that you can charge a premium for.